Does breastfeeding offer protection against maternal depressive symptomatology? Mothers who breastfeed typically exhibit lower levels of depressive symptomatology than mothers who do not. However, very few studies have investigated the directionality of this relationship. Of the prospective studies published, all but one focus exclusively on whether maternal depression reduces rates of subsequent breastfeeding. This study again examines this relationship, but also the reverse—that breastfeeding might predict lower levels of later depression. Using multilevel modeling, we investigated the relationship between breastfeeding and self-reported depressive symptomatology in 205 women followed prenatally and at 3, 6, 12, and 24 months after birth. Consistent with previous research, women with prenatal depressive symptomatology weaned their infants 2.3 months earlier, on average, than women without such symptomatology. 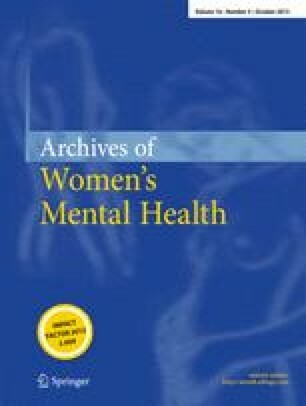 We also found, however, that women who breastfed more frequently at 3 months postpartum showed greater subsequent declines in depressive symptomatology over time compared to women who breastfed less frequently, resulting in lower absolute levels of depressive symptoms by 24 months postpartum, controlling for important confounds. In sum, these findings are consistent with a bidirectional association between breastfeeding and depression, with prenatal depression predicting less breastfeeding soon after birth and breastfeeding predicting declines in maternal depression up to 2 years after birth. We discuss mechanisms that could potentially explain these associations and avenues for future research.